Sleek has a fabulous line up for Fall. Richly pigmented eyeshadow's in the i-divine Storm Palette, a beautiful assortment of Creme-to-Powder blushes, super smooth pencil eyeliners, and some gorgeous shades of True Color lipstick. I have long adored this UK brand and if there is one brand of makeup worth ordering overseas it is Sleek. Have a look at some of the Fall Collection! When I opened up this palette it was like opening a box of jewels. Storm is an stunning mix of shimmering neutrals and jewel tones. The texture of these shadows is amazing, so creamy and soft. Pigmentation is awesome and they have minimal fallout. Every I-divine eyeshadow palette I own has been impressive. 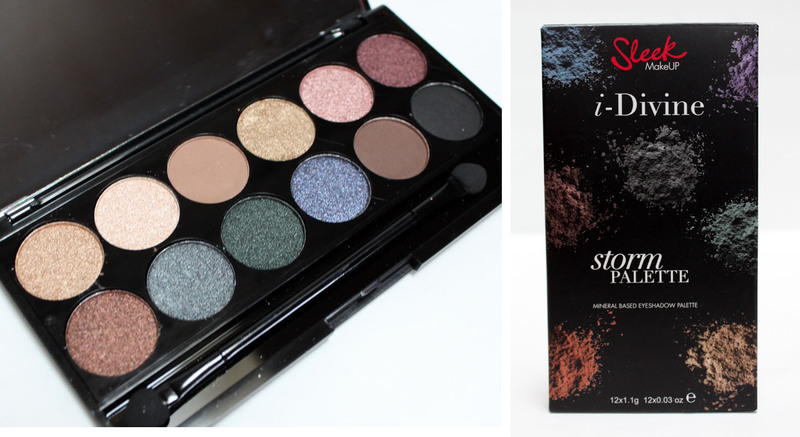 Storm is my favorite Fall eyeshadow palette this Fall in terms of colors that really fit the season. Eau La La Liner is a highly pigmented, rich, creamy pencil. This extremely long-lasting formula is ideal for blending, smudging and defining. Blue Moon is a gorgeous deep teal blue and Noir a soft black. The formula on these is everything you want in a pencil liner, they glide on so smooth and set to a budgeproof finish. Get high impact lips with True Colour Lipstick in a gorgeous matte and sheen finishes in a variety of shades that are highly pigmented, and conditioning to keep lips soft and supple. Enriched with vitamin E helping to hydrate and protect the lips. 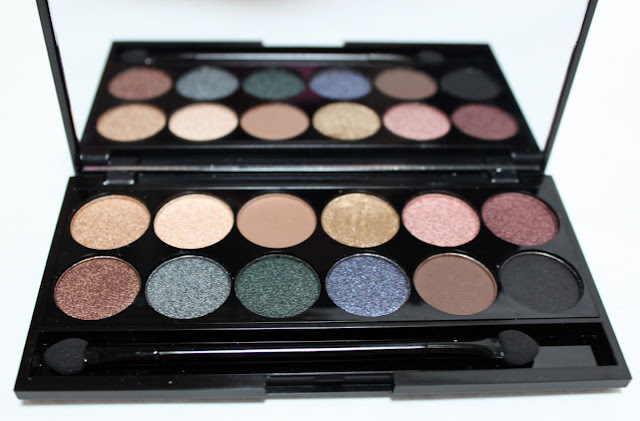 Comfortable to wear and glides on with ease this is the must have to awaken your makeup look. Available in 20 shades. Succumb is a sheen brown with a pink undertone which is the perfect companion for sultry dark eyes. Papaya Punch is a matte bright coral, more orange than coral. Smoulder is a deep, sheeny red. The Sheen formula was definitely my favorite over the matte. It applies super creamy and pigmented with a slick finish. The matte lipstick is a little less impressive. The pigmentation was there but Papaya Pumch applied patchy and left a very noticeable line between the inner lip and the lipstick. 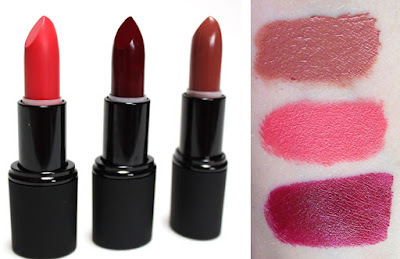 What I don't like about these lipsticks is the tube. When putting the cap on if you twist the lipstick even a little it completely destroys the top of the lipstick. Definitely could use a bit more room up top..I feel ya Sleek. I feel ya. Innovative Crème to Powder Blush offers intense colour with a dewy, satin finish. The soft texture blends to a light powdery effect. The range of stunning hues from soft pink to warm coral and fuchsia will brighten and flatter all complexions. Available in 6 shades. First off these blushes look and perform a whole lot like NARS at a fraction of the price. The gel texture quickly turns to a powder and blends seamlessly on to the skin. They are pigmented and long-lasting while looking great both applied with a brush or your fingers. Amaryllis is a cool dusky mauve that is going in to my blush rotation immeditely. This color is going to be so beautiful come Winter too. 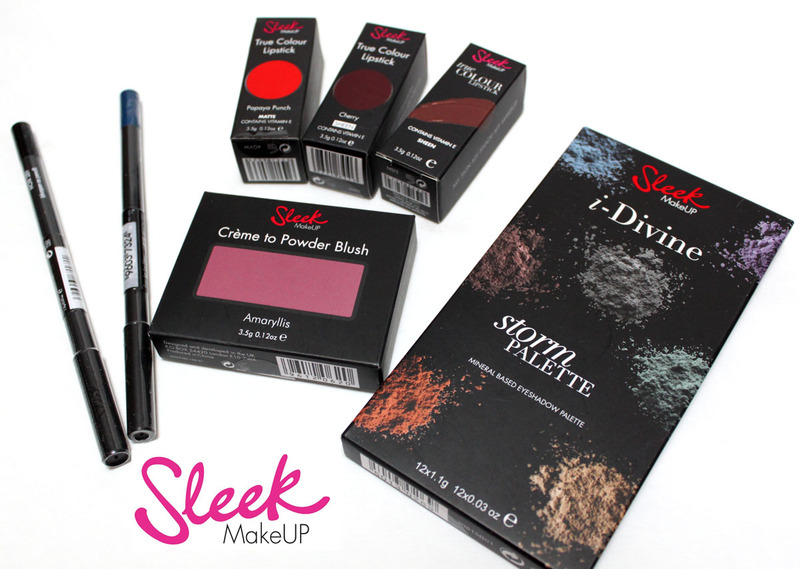 Find these products and more at Sleekmakeup.com. Free Shipping over $35 to the US and $65 for the rest of the world.